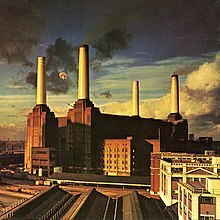 PINK FLOYD: ANIMALS:1977: 4 STARS OUT OF 5 STARS: My freshman year in college I was- at least for the first couple of months rooming with someone I hadn’t met before hand. He didn’t last long because after a couple weeks he quit going to classes and in mid-October out of the blue on Sunday his father shows up and a half hour later he was gone. That’s another story- the Pink Floyd-Animals. I was not that familiar with Pink Floyd at the time but I got familiar with them- and especially Animals during that two month period I roomed with this guy. Animals must have been his favorite album he played it over and over and over and over. Although I do remember him playing other albums- other than John Hartford I can’t recall anything else that he lived but he loved Animals. I heard it enough that I even grew to like it. 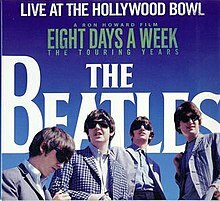 THE BEATLES: LIVE AT HOLLYWOOD BOWL: 2016: 5 STARS OUT OF 5 STARS: The other night I was talking with a friend and he brought up the old- if John had lived etc would The Beatles have gotten back together question. I was never one who was hoping for it to happen- why ruin a good thing but it is a shame that they never really got to do a modern tour. The time to have seen The Beatles would have been in Hamburg or at The Cavern Club in Liverpool before it all went crazy. This is a great document of what it was like after Beatlemania. 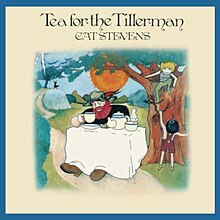 CAT STEVENS: TEA FOR THE TILLERMAN: 1970: 5 STARS OUT OF 5 STARS: Stevens most acclaimed album. Father And Son and Wild World were the hits on this album-Where Do The Children Play? Hard Headed Woman, Tea For The Tillerman are other favorites. The album is on the 1001 albums to hear list. FREEDY JOHNSTON: CAN YOU FLY: 1992: 5 STARS OUT OF 5 STARS: Whatever became of Freedy Johnston? I haven’t heard his name or read anything about him in 15 years at least. He got off to a great start- his first four albums I love. This album his second was named by the New York Times as one of the best albums of 1992- he ended up with a major record deal. I saw him a couple times back then and enjoyed his shows. Love this album- favorite songs are many-Trying To Tell You I Don’t Know, In The New Sunshine, Tearing Down This Place, The Lucky One, Can You Fly, California Thing, We Will Shine. 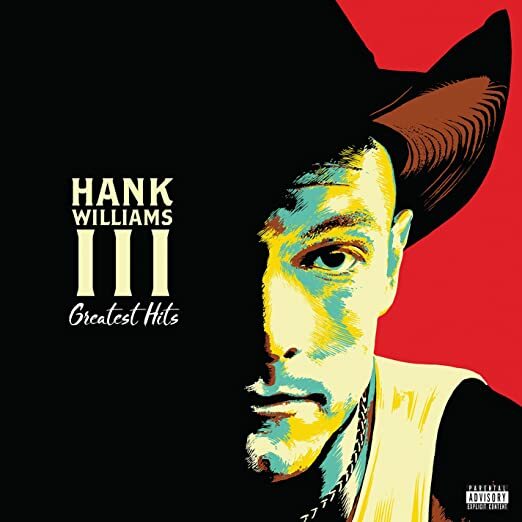 HANK WILLIAMS III: GREATEST HITS: 2017: 4 STARS OUT OF 5 STARS: The other night before Dwight Yoakam’s concert on the PA they played a Hank III song. He’s been pretty quiet in the past 4-5 years no concerts no new albums- what’s up? After hearing the song the other night I was thinking about him- he is an artist you can’t really pin down- he doesn’t do anything that is commercial. He does his own thing which is great but- I was wondering if he had decided back 20 years ago to go the country route- I think he could have done well. But I don’t think he is a fella who was ever going to play the game. Sure does look like his grandfather. While I was playing this- my wife asked -who are you listening to- and does he ever tour?- he sounds like he would be great in concert. I’ve never seen him but if he ever does tour again- I’d like to. 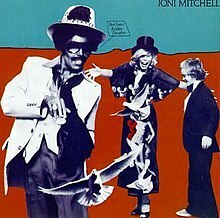 JONI MITCHELL: DON JUAN’S RECKLESS DAUGHTER: 1977: 3 1/2 STARS OUT OF 5 STARS: By this time Joni was doing her own thing and clearly not interested in pop stardom- at all. A jazz fusion album. It did go to #25 on the charts and went gold but you have to think the record company who wants hits, hits, hits had to be frustrated with her direction. It generally got average reviews which is about right. It was a double album coming in at just under an hour in length. Can You Fly is amazing. Got great reviews at the time but is largely forgotten now. A forgotten gem I agree. Puzzling career. I don’t think he did anything especially wrong – all of his 1990s albums are solid. Just went out of critical fashion. He has an interesting, economical writing style. probably record company issues- he didn’t sell enough so they quit pushing him. that wouldn’t be a first. Never heard of Freedy Johnston.